Libellum is the world’s most innovative supply chain verification platform for product certification, testing, and compliance. Libellum will make working with suppliers safe and secure - through its innovative platform. 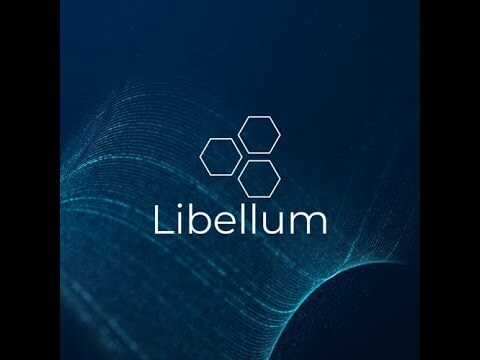 The Libellum platform will be comprised of 3 key features: 1. Our Web platform and Mobile application will list all verified and compliant suppliers. 2. Product Certifications made easy with our innovative L-ID system. 3. Each supplier will get a unique and encrypted digital ID system secured by blockchain technology. Online sellers will be able to prove product authenticity and compliance by integrating their verified products onto leading E-commerce platforms via our Libellum Plugin. By implementing Blockchain technology, Libellum will provide a leading platform that is safe for key components in the supply chain industry, including , Importers and Exporters , Customs Officials , Product Testing Laboratories , & more. Ecommerce is growing rapidly. The need for verified suppliers from China is more than ever as many new and inexperienced buyers fall to scams of illegitimate suppliers. Libellum's aims to connect buyers, suppliers and third party test laboratories (who issue certificates). Take for example a foreign buyer who wants to purchase/manufacture a product in China for the first time. For him to verify supplier authenticity, he either has to hire a sourcing company with reputable suppliers, a third party testing and auditing company (e.g. TUV, SGS) or fly to China personally. Furthermore a buyer from overseas has to comply with international laws, product regulations and compliances set out by the governing bodies and authorities. The buyer has to either fully trust a supplier’s documents and certificates or hire a third party testing company. Unfortunately, faking certificates is a common practice amongst dodgy suppliers. The only way for the buyer to verify the certificate validity is for them to call or email the third party that issued the certificate. This not only results in unnecessary costs to the buyer, but more importantly, reduces the trust in the system as the process is slow and timeconsuming. Libellum works to solve this problem by enabling clients to lookup a certificate or test report number (provided by a supplier) on Libellum’s interface. If said certificate has really been issued at some point in time the interface will have all the supplier and product information - that at some point has been verified by a third party inspection company. Hence the buyer can immediately verify the authenticity of the certificate via Libellum. Data is stored on Libellum's blockchain, which allows for the data to be immutable and transparent. This allows buyers globally to purchase from verified suppliers using the LIB token and its ecosystem.